With the summer months fast approaching and camping becoming more and more likely, it can be a wise idea to understand how to keep your tent cool for the optimal temperature. If the tent is too warm, you might find sleeping tough and you will be subjected to the grueling temperatures and the elements for the duration of your trip. 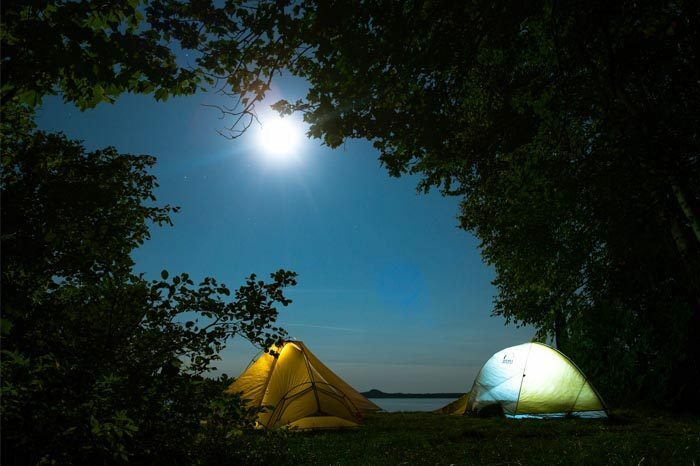 Since camping is such an important thing for most of us and it allows us to get outside and enjoy the very best nature has to offer, you might be wondering how you could keep the tent cool and enjoy your trip. Once you understand these effective tips, no camping trip will ever be too warm and keep you out of your precious beauty sleep. Understanding the different materials used in tents is a great way to choose the right tent that will keep you cool this summer. Polyester and nylon might be lighter in terms of the weight and they are easier to pack for backpacking, they have better insulation. These tents will keep the heat inside, instead of allowing it to freely flow through. Cotton, on the other hand, is not the most recommended material and it tends to be rather warm. 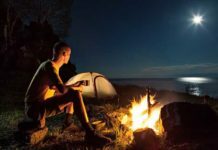 Most camping experts will tell you to avoid cotton for exactly this reason, but after testing the differences, it seems that cotton does not have such great heat retention. This, in turn, means that air could pass through a little better and your tent will be more ventilated. The size of the tent also makes a major difference and while the dome-shaped tent is always a great option, it does not allow the air to pass through as efficiently. The cabin-style tent is much larger when looking at the surface area and this is great for allowing the wind to pass through and the trapped heat to eventually escape. 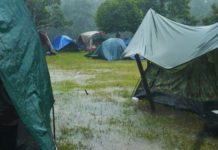 Another thing you should look for is windows and while windows are taken for granted in most tents, they are not found in some of the smaller tents. Since the mesh is used for the windows, you could easily allow them to be open without the possibility of any bugs or creepy crawlies entering. The mesh windows will allow the heat to escape and give you some additional ventilation. Most people think that adding the tarp over the tent will keep the heat out and while this is true, they sometimes forget about the floor of the tent. The floor tends to absorb the heat of the ground and if the sun has been belting down, you can be sure the ground will be rather hot. This heat will also stay overnight, leading to the tent floor absorbing it. By adding a tent footprint at the bottom, you create a little bit of distance between the floor and the ground. The footprint should absorb most of the heat and keep it from entering your tent and disturbing your sleep at night. If you have a set camping spot that you love and you always visit the same time of year, this tip might not be for you. Generally, we look at the weather conditions to see if any rain or potential floods are possible, but we neglect to see the temperatures. If you like camping in cooler conditions, it will be wise to select an area with cooler temperatures as this will enable you to have a much more comfortable camping experience. Setting up the tent can also play a major role in the heat retention and the amount of heat that you need to deal with. When arriving at the campsite, you will be directed to the different spots for you to camp out. By selecting somewhere in the shade, especially if it falls over your tent during the middle of the day, you will see a significant drop in the ambient temperatures you need to deal with. Another effective to keep in mind when setting up your tent is the wind direction. If the wind is constant in the area or even if you manage to pick up a light breeze, it will be a great idea to pitch your tent facing the wind. This can help provide some ventilation and force out the heat as cooler air blows through. It is also an effective way of creating a natural fan during the evenings. Battery powered fans are now widely available from outdoor stores and they won't cost you an arm or a leg either. These fans are designed to work in outdoor conditions and the batteries will keep them going. It can be an effective way to cool you down. Alternatively, you might want to look into a generator as this multifunction piece of equipment can help you with other electronics as well. With a generator, you can simply use the normal fan from your home and plug it into the power cord to keep you cool. This is an effective way to keep you cool with a device that you choose or are comfortable with. While this tip might seem like a lot more trouble and you might not feel like doing it, it is an effective way to ensure the tent stays cool. With new additions to tents and the invention of the pop-up tent, you could set up the tent in less than one minute. If the tent is out of the sun during the day, it will not absorb as much heat and you could stay cooler at night. 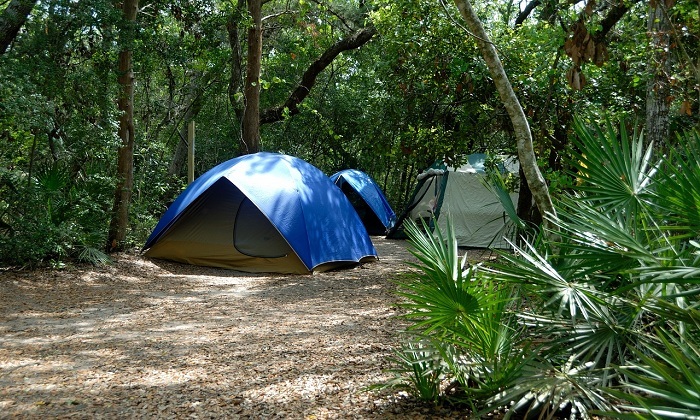 Are You Ready For Camping In The Summer Months? 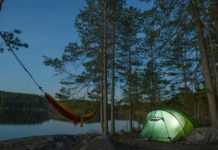 Camping in the summer is fun but daunting and with this guide, you should enjoy the trip a little more and never fear camping in the hottest months ever again. Using these tips is affordable and cheap, with some of them no even costing you a penny except for some time and some additional studying of the terrain and destination. Hopefully, you have found these tips to be effective and we have answered your question of "how to keep tent cool". We look forward to hearing some of your camping stories in the summer months and how you deal with excruciatingly hot conditions.